By increasing the amount of physical activity in your life, you will burn extra calories and you will maintain the level of fitness that you have worked so hard to achieve. So You've Finally Accepted Exercise into Your Life. Congratulations. Exercise is now part of your very being, and without it, you get crabby and sluggish. Therefore, you need to know how to keep up this new exercise regimen, especially when your life gets a little crazy. Even the elite athletes have a tendency to blow off their workouts around holiday season or when they are on the road. So how do they keep in shape when their lives dont allow for a one-hour workout? They have implemented a strategy to keep fit outside of their normal workout circumstances. First, they have thrown the all-or-none principle right out of the window. If they arent able to do their normal exercise for a day, a week, or even a month, they dont let it discourage them from keeping a healthy, active lifestyle. Second, they manipulate existing circumstances to add in their exercise. They stay at hotels that have fitness centers and they take short walks after eating big feasts. 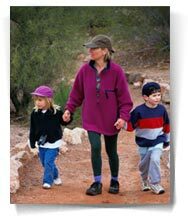 Third, they increase the amount of physical activity that they participate in during the day. Physical activity includes everything from fidgeting at your desk to running toward the bus stop. Lying on your back, pull both knees toward your chest until you feel a gentle stretch in your lower back. Hold this stretch for 30 seconds, 2 times. Stand behind a chair with your hands on the back of the chair. Slowly lift one leg back and up while keeping the knee straight, your back straight, and your hips square. Return the leg to the floor slowly. Repeat with the other leg. Repeat 5 times each leg. Stand with your back against a wall and feet shoulder-width apart. Slide down to a crouch position with knees bent to about 90 degrees. Count to 5, and slide back up the wall. Repeat 5 times. Sit upright in a chair with legs straight and extended. Lift one leg waist high. Slowly return your leg to the floor. For support, hold onto the arm handles. Do the same with the other leg. Repeat 5 times for each leg. Lie on the floor on your stomach. Keep your arms down by your side. Tighten the muscles in one leg and raise it from the floor. Hold your leg up for a count of 10 seconds and return it to the floor. Repeat with the other leg. Repeat 5 times for each leg. David & Jill Armayor have been employed at the Cooper Aerobics Center as personal trainer/ fitness specialists for the past five years. In fact, its where we met, started dating, and eventually married. Working at the Cooper Aerobics Center has not only brought the couple together, but also reinforced the importance of a healthy lifestyle in all aspects of their lives.